The pleasure of beholding a thing of beauty, the demand for ever-higher performance products and the need of higher reflect surface products. Art Trading has established since 1987, we had changed name to Austral Star Sendirian Berhad since August 2001 for the purpose of business improvement and development. Austral Star Sendirian Berhad understanding excellence in art of awarded for a victory or success. We are pleasure of producing trophies that recognise the best for our customer’s need and expectation toward the qualities in quality. We have all kinds of premiums products such as imported trophies, medals, frames, plaques, shields, name badges, crystals awards, glass awards, casting metals trophy, acrylic products, wood products, pewters and etc. 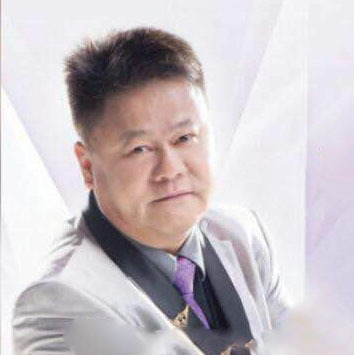 Born in 1962, and has joined Austral Star Sdn Bhd as General Manager and a Director in August 2001. In 1981-1982, he has been working as an electrician in an electrical firm and continues his journey in motorcycle spare-part shop in 1982-1983. He also has experienced working in a trophy shop in 1983-1989 as a salesman. Since 1990, he contributes to Eesan Vaccum Coating Sdn Bhd as General Manager, later he had also joined to Art Trading as Marketing Manager. 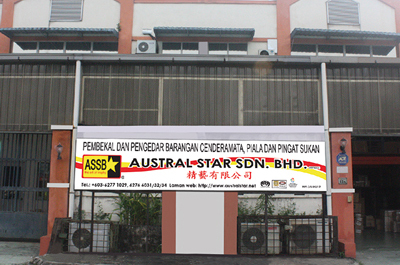 After he joined for few years in the company, the company name of Art Trading have been changed to Austral Star Sdn Bhd. Until now he has been with Austral Star Sdn Bhd in controlling and monitoring throughout the Marketing Sales, Products Research and Development in the Company.